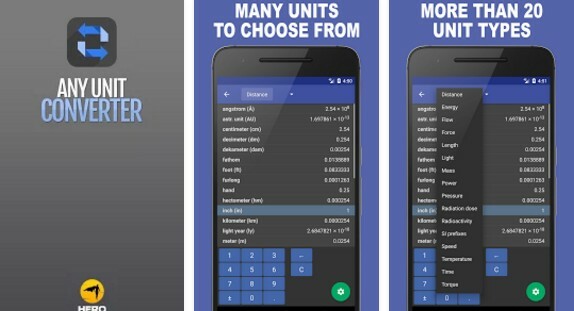 Any Unit Converter was already reviewed on our site, but due its functionalities and usability, we decided to give it another appraisal, but this time as our choice for a Tool of the Month. Let’s see what this awesome Android app is all about. What is Any Unit Converter? Free to download, simple and easy to use we introduce you to Any Unit Converter – Free Conversion Calculator, an app to boost your productivity and make your calculations easier than ever before. This app that we found, we’re strongly recommending to all engineers and chemical workers that working with converting units on a daily basis and especially for students on AP/College level physics. Conversion units can be complex and hard so Any Unit Converter was created for simplifying the whole process and give you great visibility. You can add units or remove the one that is not important for your calculations. There is a whole list of units that Any Unit Converter offers to work with like meter, kilometer, light year, inch, foot, hectometer, angstrom, nautical mile, nanometer etc and other conversion categories like distance, energy, flow, light, power, mass, pressure, radioactivity, speed, temperature etc. 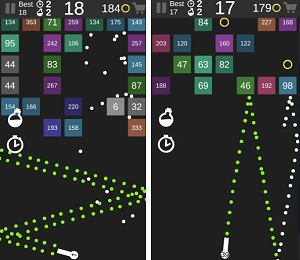 So if you’re finding great use with this productivity app, it’s available on Google Play Store for downloading. Share with your colleagues and improve your productivity effortlessly!